Vessel traffic services (VTS) play a critical role in improving the safety and efficiency of navigation in your port waters. With telephony and radio communications forming the basis of many VTS services, optimizing this component of your port control infrastructure is vital. 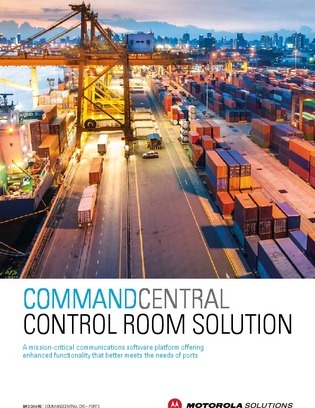 Find out how you can better meet the changing needs of ports with CommandCentral Control Room Solution which brings together all your communications in a single, unified interface that can be managed and monitored through a suitable web browser.